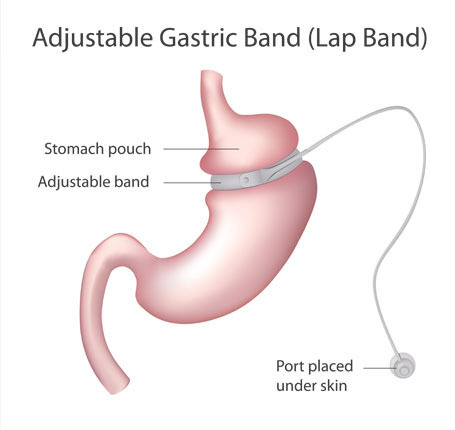 Bariatric surgical procedures include those that cause weight loss by restricting the amount of food the stomach can hold, those that cause weight loss primarily as a result of malabsorption of nutrients, and those that cause weight loss both by gastric restriction and malabsorption. Bariatric procedures also often cause hormonal changes. Most bariatric procedures today are performed using minimally invasive techniques (laparoscopic surgery). Up today there are many different surgical bariatric techniques each of them with even different variations which makes it difficult to present a complete list. We expose here some common ones. The Laparoscopic Sleeve Gastrectomy – often called the sleeve – is performed by removing approximately 80 percent of the stomach. The remaining stomach is a tubular pouch that resembles a leeve. 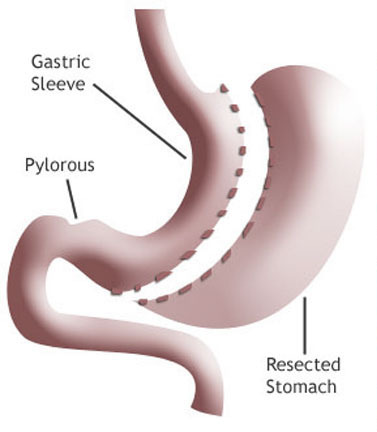 The Roux-en-Y Gastric Bypass – often called gastric bypass – is considered the ‘gold standard’ of weight loss surgery and is, together with the sleeve gastrectomy, the two most commonly performed bariatric procedures worldwide. 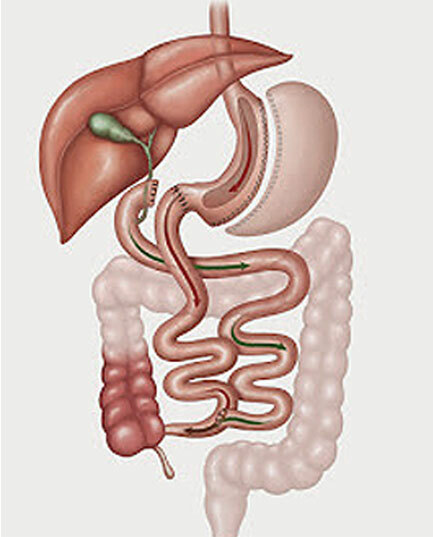 The Biliopancreatic Diversion with Duodenal Switch – abbreviated as BPD/DS – is a procedure with two components. 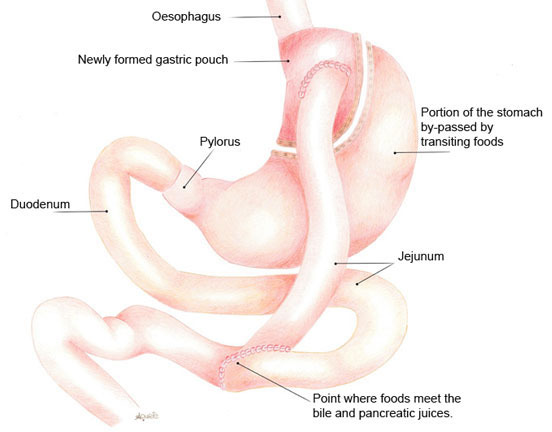 First, a smaller, tubular stomach pouch is created by removing a portion of the stomach, quite similar to the sleeve gastrectomy. Next, a large portion of the small intestine is bypassed.